Plover VFW Post 10262 Rifle Squad will host a steak and omelet breakfast fundraiser on Sunday, Feb. 17, from 8:30 a.m. – 12:00 p.m. The breakfast will feature a choice of steak and omelet combo for $9, or sausage and omelet combo for $7.50. Prices include hash browns, buttermilk or potato pancakes, toast and a choice of coffee, milk, tomato juice or orange juice. A children’s plate for ages 12 and younger is $3 and includes two sausages, two pancakes, toast and a choice of tomato juice, orange juice, or milk. Proceeds from the fundraiser will be used to purchase equipment for the Plover VFW Rifle Squad and Color Guard. 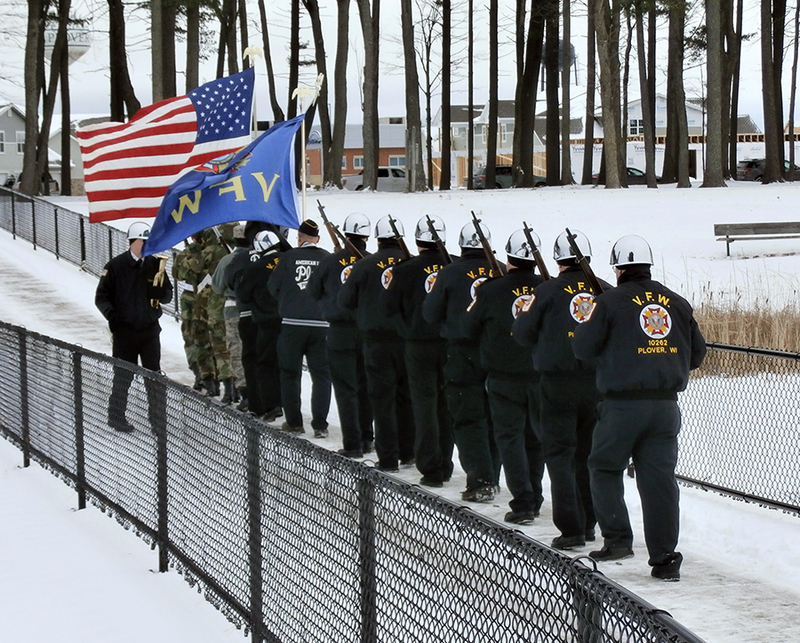 The unit performs military honors for fallen veterans at all military funerals, conducts ceremonies at area cemeteries on Memorial Day and Veterans’ Day, and supports an award for an Outstanding Cadet at the annual UWSP – ROTC Annual Military Ball. The Plover VFW Auxiliary will hold a bake sale fundraiser in conjunction with the breakfast. Proceeds from the bake sale support the Plover VFW Auxiliary. The Post is located at 2970 Hickory Drive in Plover.